“When is the best time to plant?” is one of the most frequently asked questions at the nursery. There are two primary schools of thought on the subject. Some people prefer to plant in the spring while others feel that fall is the best time. Both preferences are supported by reasonable theories. Spring planters typically have lots of spring blooms in their yards. You can often tell which method is preferred by looking at one’s garden. They prefer spring planting because they think that plants will have the entire growing season to establish themselves and prepare for winter. Fall planting is favored by some others. They feel that the plant undergoes less shock in colder temperatures when plants are causing their energy on root storage. Another benefit is that the plant is set and ready to go in the spring before the ground is soft enough to dig in. As a bonus, gardeners can often find many plants on sale at nurseries in the fall. We firmly believe that our high altitude climate is conducive to plant throughout the growing season as long as the ground is soft enough to dig and sufficient water is available. When planning a landscape, it is best to be aware of what the plants will look like throughout the season. One of the best ways to do this is to scope out other yards and visit the nursery frequently throughout the season. It is best not to let timing discourage you from planting when you feel like it. One of the most common tree bugs, the white pine weevil, is an insect pest that attacks the top of young (under 25 feet tall) Colorado spruce trees in our area. A tree infested with weevil will have a wilted leader in early summer. Unfortunately, the signs will often go unnoticed until the fall when the needles drop. Infested trees result in the formation of multiple trunks and bushy-topped trees. The adult white pine weevil overwinters in the soil underneath the previously infested tree. In the spring, the egg-laying females climb up to the tips of trees usually less than 25 feet tall. The female chews holes in the bark and lays its eggs. The eggs hatch just as the buds are breaking and the larvae feed there’ eventually girdling the stem and causing wilting. 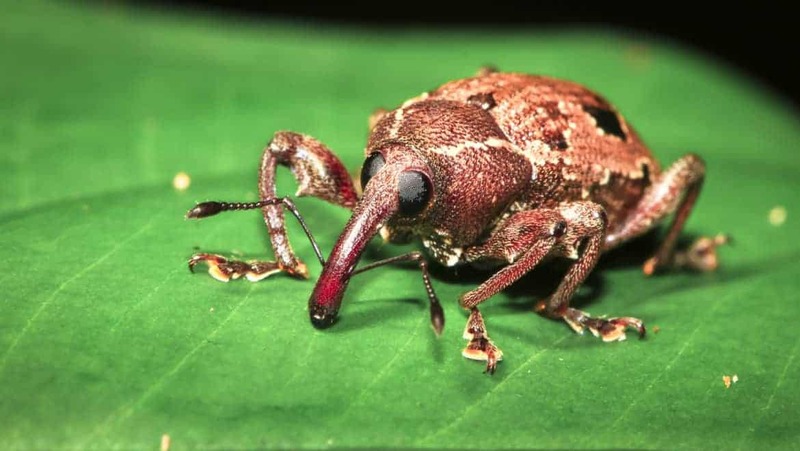 Adult weevils chew through the stem and ext the tree in late summer. They briefly feed on the needles and bark before dropping to the ground and taking shelter for the winter. Once the terminal leader dies, the side branches will begin going skyward to replace the old leader. Prune out the dead top and burn the remains to control and prevent further infestation. 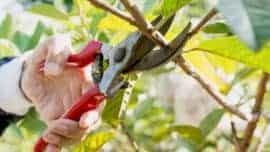 Be sure that you have cut all of the infected areas by cutting as close to the next row of branches as possible. You can improve the appearance of your tree by training the best remaining side branch to be the new leader. Remove the other competing branches and stake up the replacement leader. An insecticide needs annual application in the spring just before the buds break, The most effective pesticides are restricted use and are only applied by a licensed applicator. The homeowner safe insecticide, Sevin, used at the recommended rate can also provide control. With a little care and effort, you can enjoy flower bulbs indoors throughout the winter and early spring. You can begin putting your favorite spring bulbs now to prepare them for winter flowering. It may be preferable no to mix varieties in the same container since they flower at different times. Tulip, daffodils, hyacinths, crocus and grape hyacinths in your home is a beautiful way to enjoy your flowers. The bulbs should be planted close together in potting soil leaving the tips exposed. Water after planting and do not let the soil dry out. A cold temperature treatment of 35-48 degrees F for a minimum of 12-13 weeks is required for flowering. 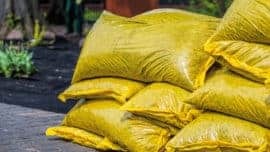 Use a cold basement, garage or attic. Once they are moved out to cold storage, place the pots in a cool location with indirect sunlight. 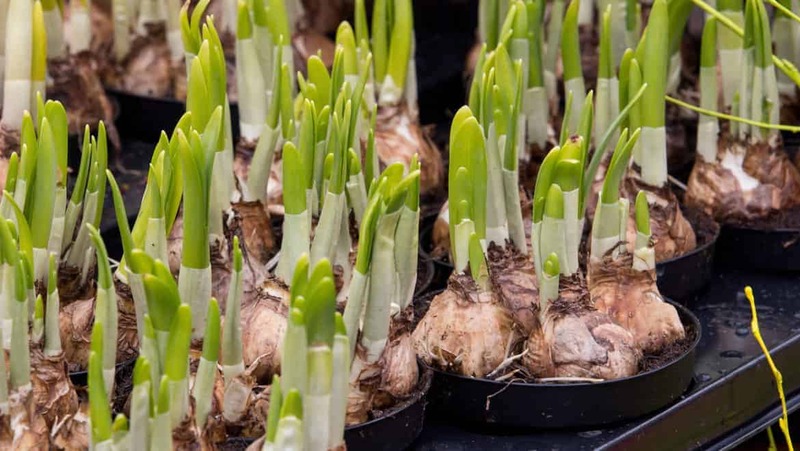 It is not necessary to fertilize as the bulbs have enough stored food to flower once. Hyacinths, paperwhites, and crocus grow well in shallow pans of water filled with crushed rocks or pebbles. The bulbs should be secured in the stones deeply enough so that they stay in place. Only the very bottom of the bulbs should be in contact with the water. Paperwhites are very fragrant, and we have found that you either love or hate the smell. They do not require a cold treatment but should be placed in a cold, dark room for a couple of weeks until the roots begin to develop. Then put them in a sunny location. Once they start to flower, moving them into the indirect sunlight will prolong the bloom period. Amaryllis will bloom without special treatment when first purchased. Plant them in the potting soil in a container that is only 1-2 inches larger in diameter than the bulb. The upper half of the bulb needs exposure above the earth. 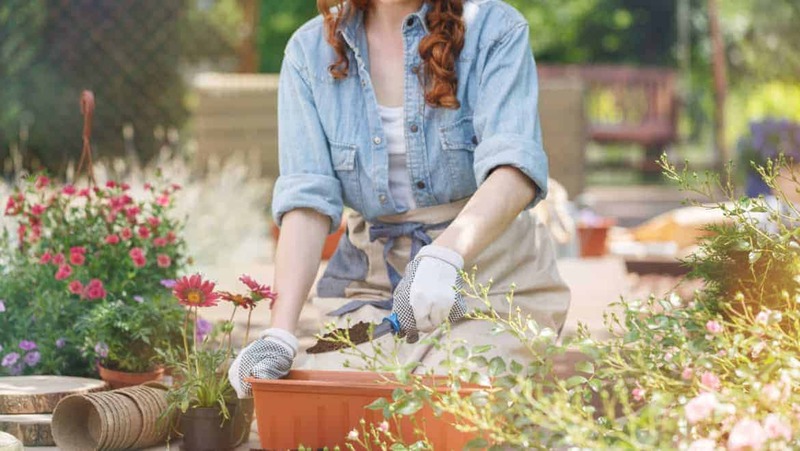 After watering thoroughly, allow the soil to become quite dry. Water more frequently after the flower stalk appears. But never water when the soil is already moist. Place the plant in a warm, sunny spot until the flower buds show color. Then move it out of direct sunlight. Amaryllis can then be a houseplant year round. However, the bulbs probably will not bloom until spring. Adequate light and fertilizer are necessary to endure repeated bloom. You Want An Awesome Yard? Join Jayson every month for first-hand tips from a pro.